Excellent work as always. Thank you. The 'rough' and 'smooth' descriptions refer to the feel/look of the scars. 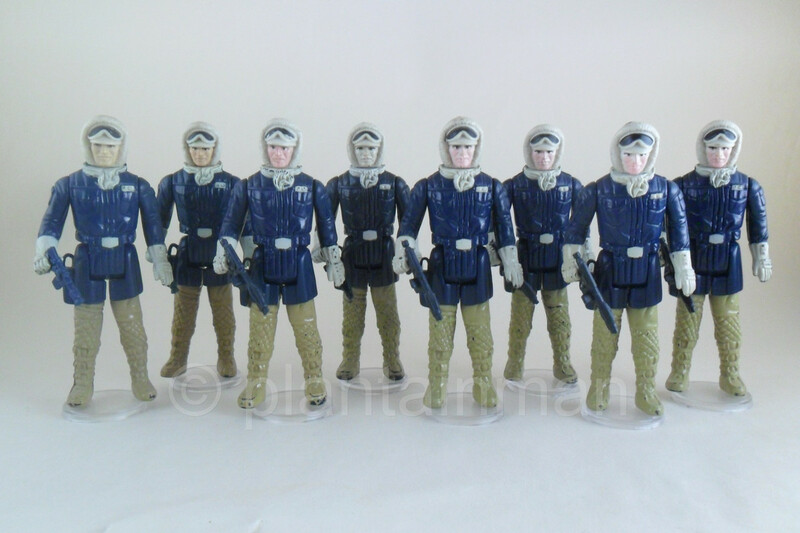 The PBP/Euro 'Pale' face figures are so called because they clearly have a lighter pink hue applied over the top of a white base. They therefore differ from the 'Pure pink' face and the 'white' face as these two variants only have one tone of colour applied to their face. 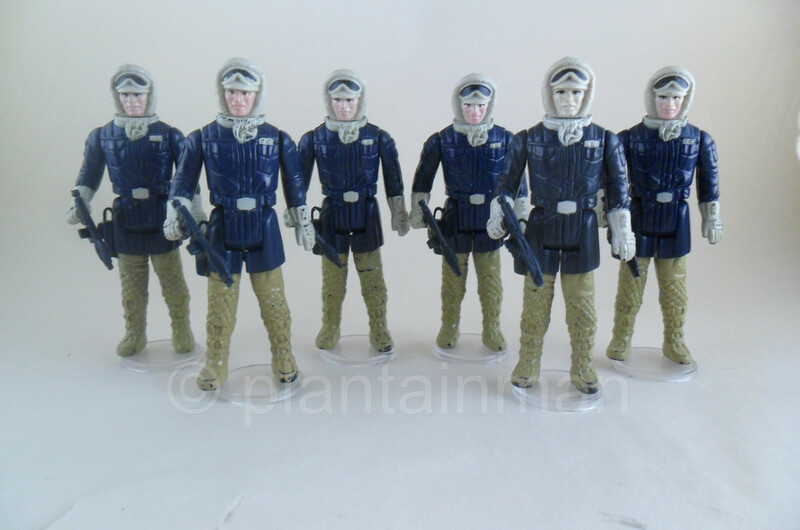 As you can see there are a wide range of scars on the PBP/Euro 'Pale' face figures, which is very common and in line with other PBP/Euro figures like the No Coo Scar Snowtrooper and the No Coo Scar Landos for example. 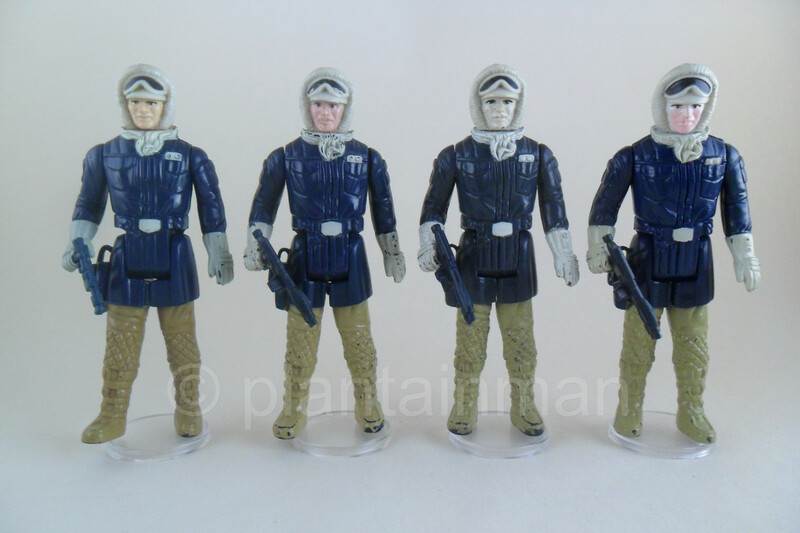 These PBP/Euro figures generally came packaged with imperial blasters, whilst their No Coo kenner counterparts came with the standard rebel blaster. Last edited by plantainman on Wed Jul 18, 2018 9:49 pm, edited 2 times in total. 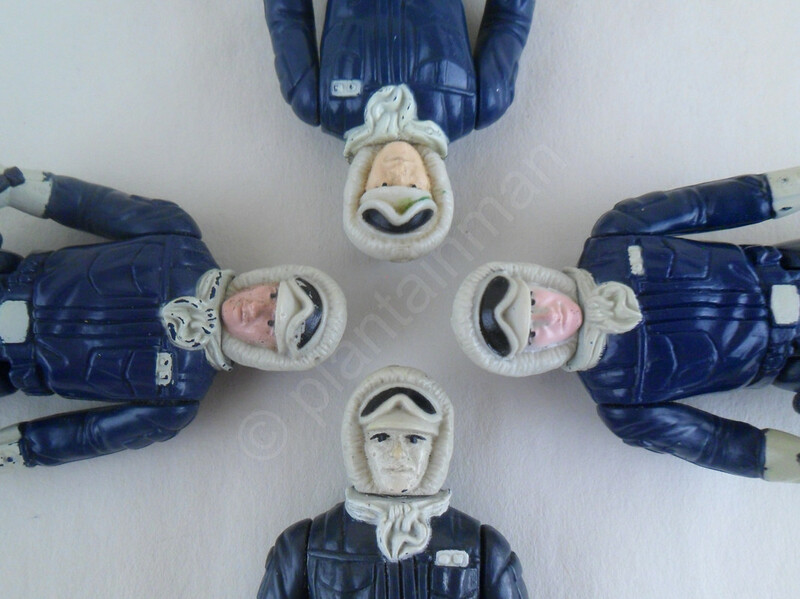 i have a run of no coo han hoths this will prove most helpful! poncho wrote: i have a run of no coo han hoths this will prove most helpful! If the photos and info provided assist just one person in some small form then the thread is performing the task that I want it to, spread the joy of variants throughout the collecting community. Some people love/appreciate the variants quirks and differences, Some people just see 8 of the exact same figure, All is fair. While we hope to resolve the issue, we chose postimg.CC as our new home." plantainman wrote: "postimg.ORG domain is locked by Registry, no prior notice. Apologies to anyone that actually used this thread and found it annoying when all the pictures went down. I have now finally rectified the situation so the thread is fully viewable again. Better late than never, Eh? Great - thanks for your efforts!! !